Be quick! Make sure you don’t miss this great 5* Hotel Deal!! 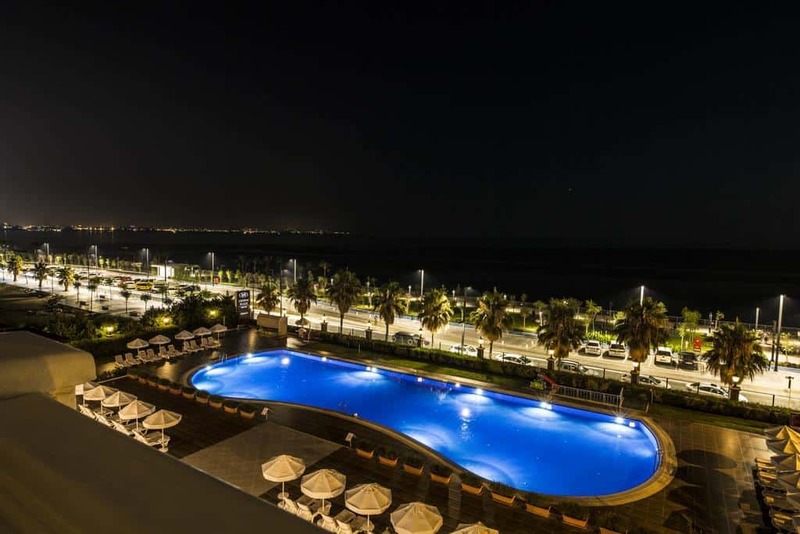 We have found very cheap rates for a 5* hotel deal on the Turkey Riviera that we want to share with you! 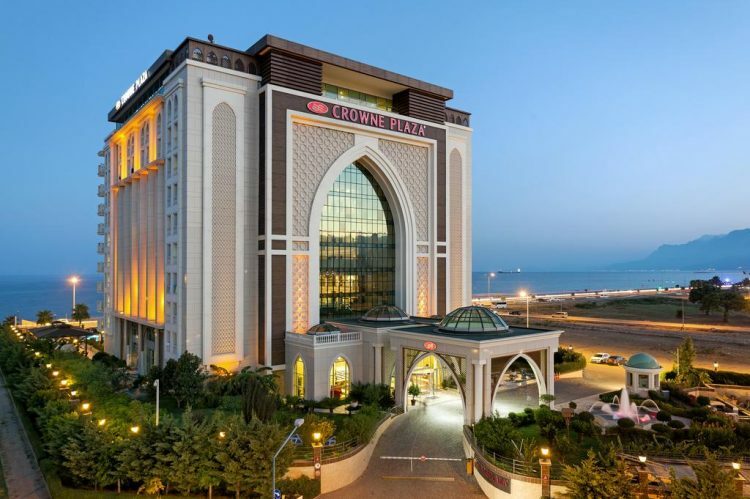 5-star Crowne Plaza Antalya in Antalya in Turkey now offer very cheap rates between January to April 2019. You can stay for two in a Two Single Bed Non-Smoking with the rates starting at only €14/night or €7 per person++! But hurry up, this offer might be end soon..
Set along the famous Konyaalti Beach, Crowne Plaza Antalya offers luxurious 5-star accommodation and open views of the Mediterranean Sea. Make sure you don’t miss this offer! We recommend for you to book early to get the best prices for this 5* hotel. The luxury Hotel is located in Konyaalti, ckose to Antaly the capital of the Turkey Riviera. Directly on the gently sloping sandy beach. 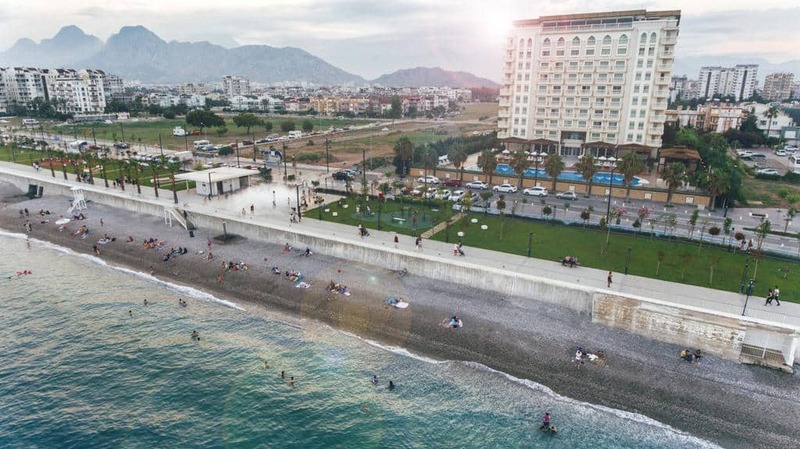 The nearest towns of the hotel are Antalya (5 km) and Kemer (40 km). From the hotel: Airport (21 km), Perge (50 km), Phaselis (50 km), Olympos (60 km) and Aspendos (75 km). It has indoor and outdoor pools, an extensive spa and free WiFi. 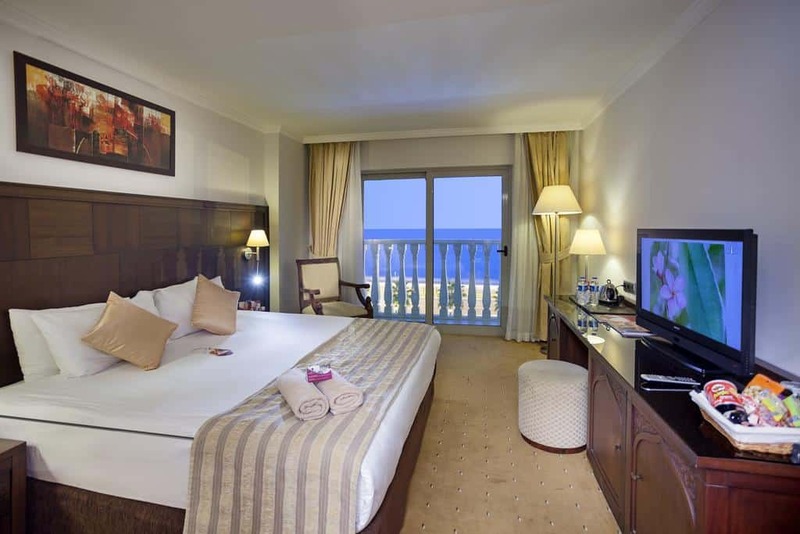 In the rooms, guests can enjoy the interactive flat-screen TV or admire the sea view from the balcony. A seating area and a spa bath are provided in some of Crowne Plaza’s lavish rooms. For your comfort, the hotel has air conditioning, 2 lifts, a reception open 24 hours, a lobby, a lounge with satellite TV. Internet access is available in the form of a Wi-Fi hotspot for a fee. The 5-floor hotel speaks German, French and English. The hotel offers a laundry service, an ironing service, hire safes, car rental and currency exchange. Shops, hairdresser, indoor pool. 2 restaurants, lobby bar. On the terrace there is a freshwater pool with pool bar. The use of umbrellas and sun loungers by the pool is free and on the beach for a fee. All rooms have bath / shower, WC, hair dryer; Telephone, satellite TV, refrigerator, air conditioning, Wi-Fi (for a fee), safe for rent; Balkony. Crowne Plaza Antalya has 3 restaurants that serve a buffet breakfast and Turkish and international cuisine. Meals can be savoured inside or on the terrace. The state-of-the-art fitness centre features cardiovascular equipment and weights. The floor-to-ceiling windows offer views of Antalya. Zeus Spa Centre has a Finnish sauna, Turkish bath, Russian bath and snow room. Friendly staff of the guest relations will support you during your stay. The front desk is operating 24 hours a day to provide a seamless service. Example: 19 – 20.April 2019.